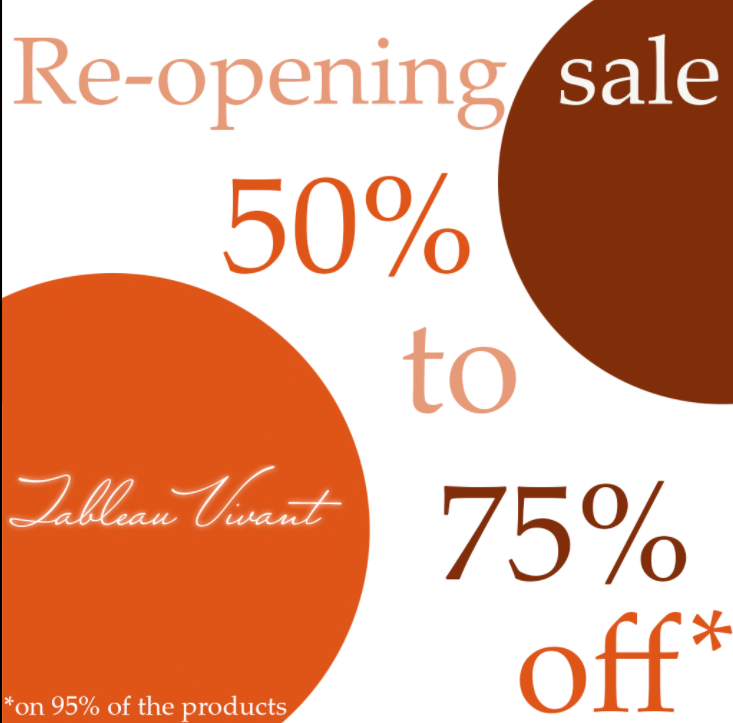 ~ Tableau Vivant ~ will soon move to a new home and for this occasion we have decided it was time to have a sale! Even our old Collabor88 have been put on sale at their original 88L$ price! So what are you waiting for? Bring your friends, boyfriends and alts as this the perfect chance to splurge and stock up on quality design! Tp to ~ Tableau Vivant ~ and come take a look! July 15th marks the 2 year Anniversary of the Gallery Gift Shop. Even we don’t have been there every month, we are happy to celebrate with them. We did a special item, something new for us: a necklace. Mina is hud driven, beads and metals can be changed separately so you can play with many combinations. Four colors for the beads: white, azure, green and pink. Four colors for the metals: white, black, gold and silver. Resize is enabled via HUD! Tp to The Gallery Gift Shop!